Check out our online pharmacy managed by VetsFirstChoice for your flea & tick prevention, prescription diets, heartworm prevention, or chronic medications. 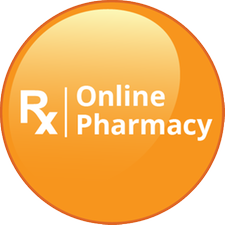 Our online pharmacy will honor manufacturer's coupons (not always honored elsewhere), notify users about specials, and save you money using Auto-Ship. If the medication needs approval from a doctor, an email will be sent to us for quick approval. Please read through our financial policy before your visit. Click on the link below to use your Care Credit account to pay online.